Desserts are my Achilles Heel. When I go to a restaurant, I look at the desserts first and then try to work backwards to see what my appetite can accommodate and then figure out if I am going to get a starter and a main and what to order. As such, it was difficult when I found out that I have probably more than 50% chance of getting Type 2 diabetes in some stage of my life, because that meant cutting down on the sweets down and watching what I eat even more. 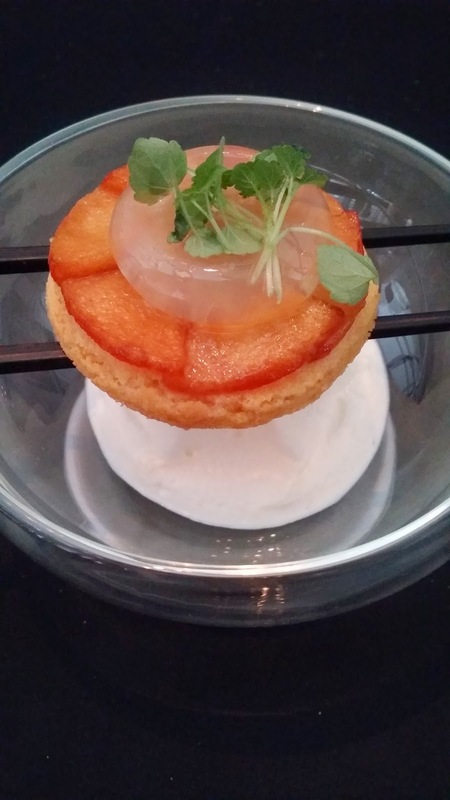 This amuse bouche that we had during the recent Mother's Day lunch was one of my favourite items that day. 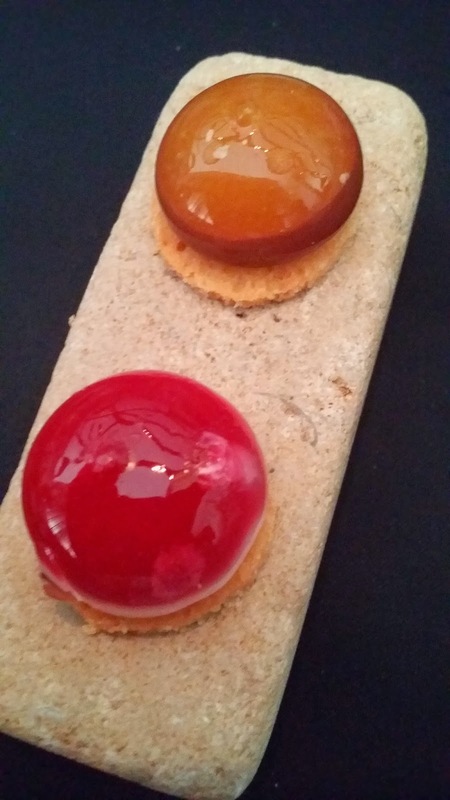 The pair was encased in gel filled with a chocolate hazelnut and a raspberry liquid resting on a biscuit respectively. These were the best! So interesting to have them pop in your mouth to fill it with a delicious liquid. This was a chocolate dessert, I can't remember much about it because I am not a chocolate fan. (Really? There are people who don't like chocolate? Yes, I get that a lot.) But the presentation was really pretty and the small bit of chocolate I tasted was not overly sweet, the way I like my chocolate (if I had to like chocolate). Who doesn't like an apple tart? 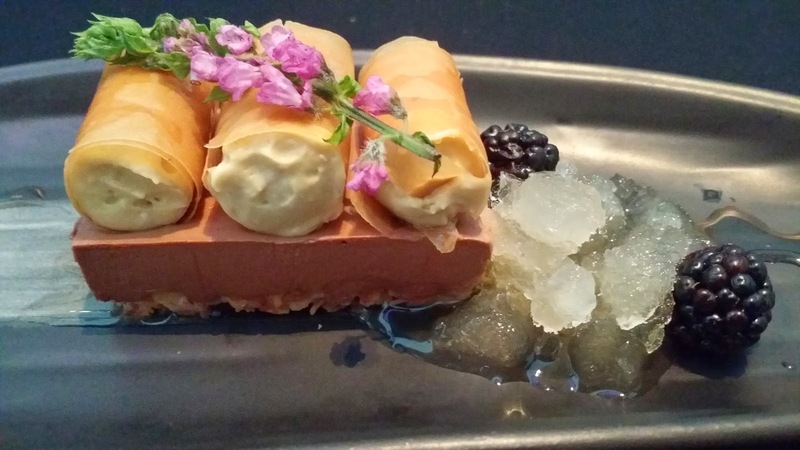 This was an unusual one in its presentation, as with all the dishes on the menu really. This restaurant does strive to put a twist on its items, a fusion of western and Japanese and definitely presented in a way that you least expect. So with a great love for desserts, what can/should I do? "Everything in moderation" does seem to be a good mantra for everything and especially in this case. But on the other hand, the other important quote that comes to mind is "Life is uncertain, eat dessert first."